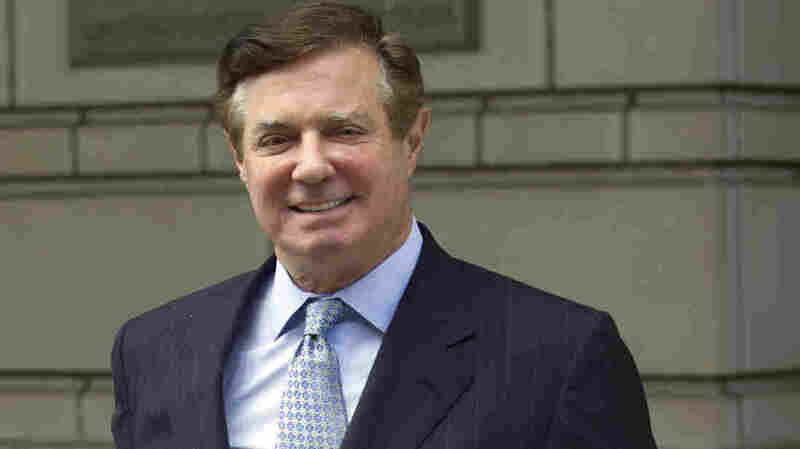 Paul Manafort's Alleged Lies Since Guilty Plea Detailed By Justice Department Manafort's attorneys say he has provided the government with useful information but aren't opposing the recommendation that he be sentenced in early 2019. Former Trump campaign chairman Paul Manafort's statements "were not instances of mere memory lapses," prosecutors wrote in the court filing. Paul Manafort allegedly lied to prosecutors about his communications with officials in the Trump administration, "information pertinent to another Department of Justice investigation" and more, the government said in a court filing on Friday. Manafort met with prosecutors 12 times and testified twice before a grand jury, the Justice Department said. During that time, prosecutors say Manafort didn't tell the truth about key topics even though he had agreed to cooperate with the government in any way it wanted as part of his guilty plea. The disclosures by special counsel Robert Mueller raise significant new questions about Manafort's motivations and his contacts with senior Trump administration officials even after he was indicted on several felony charges. Manafort's statements "were not instances of mere memory lapses," prosecutors wrote. "If the defendant contends the government has not acted in good faith, the government is able to prove the false statements at a hearing." Manafort's attorneys said in an earlier court filing that he has given the government useful information. Manafort is scheduled to be sentenced on March 5. Prosecutors say Manafort made false statements about five major topics. They include his associate Konstantin Kilimnik, with whom he faced charges for alleged witness tampering; Kilimnik's role in that alleged crime; and a wire transfer to a company working for Manafort. Prosecutors have asserted in other court materials that Kilimnik has links to Russia's intelligence services. The fourth area is not spelled out — the government alludes only to "information pertinent to another Department of Justice investigation" — and the fifth involves Manafort's contacts with officials in the Trump administration. Authorities say Manafort sought to distance himself from the White House and other officials after he inked a plea deal. But they uncovered a text exchange in May 2018 between someone Manafort had authorized to speak on his behalf and an unnamed official. Moreover, prosecutors wrote, Manafort himself maintained contact with a "senior Administration official" through February 2018. They found still more contacts after they reviewed Manafort's electronic documents. The New York Times recently reported that even as Manafort had been cooperating with the special counsel's office, his attorney had been briefing an attorney for President Trump. That arrangement, although unusual, evidently isn't illegal, and it enabled Trump's lawyers to get a sense about the operations of Mueller's team. The special counsel's office, for its part, now contends that Manafort's denials about contacting people in the administration were among multiple false statements that void his plea deal. Mueller's office is investigating whether anyone in Trump's campaign conspired with the Russians who attacked the 2016 election. Manafort ran that campaign for part of the year and had many contacts with powerful Eastern Europeans as part of his earlier political consulting business. There is so far no allegation, however, that Manafort or anyone else with the Trump campaign colluded with the Russians who attacked the election. Trump posted on Twitter on Friday, evidently responding to the evening's headlines, that he has been vindicated. Later, White House press secretary Sarah Sanders said, "The government's filing in Mr. Manafort's case says absolutely nothing about the President. It says even less about collusion and is devoted almost entirely to lobbying-related issues. Once again, the media is trying to create a story where there isn't one." A significant portion of the special counsel filing is either under seal or redacted. It's not clear when those secret passages will become public. NPR editor Philip Ewing contributed to this report.